This could not be easier. 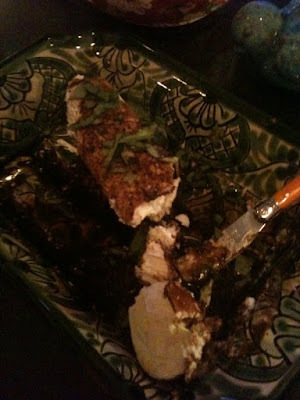 Pour the balsamic vinegar (as much or as little as you like) over the goat cheese then top with the chopped basil. Serve with different crackers and your done. The crackers we like are: Sesmark Savory Thins Sesame Rice Crackers Original, Rice Works Gourmet Brown Rice Crisps Sea Salt, New York Style Bagel Crisp Sea Salt, or any thing with cracked pepper is also yummy! 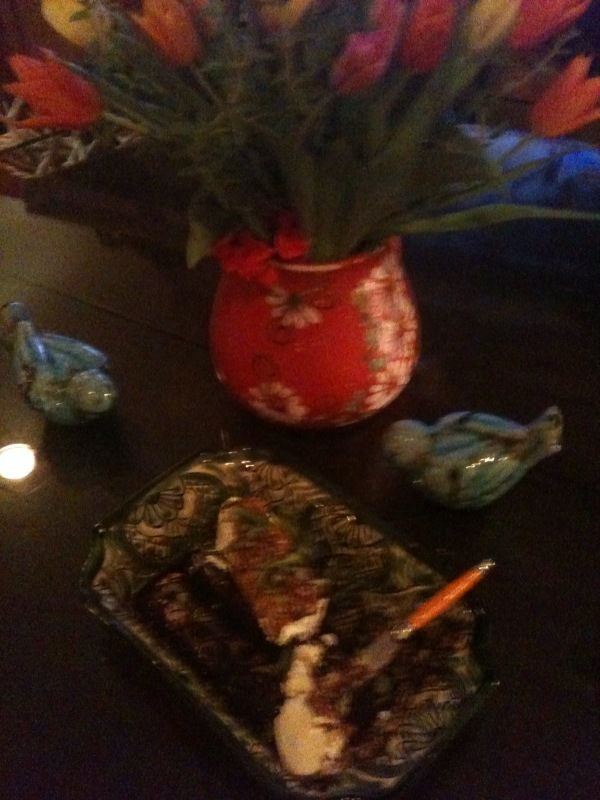 Another little tip, the Balsamic Vinegar is from Williams-Sonoma it's by Olivier. The Olivier company ages their balsamic vinegar for 25 years, traditional balsamic vinegars are aged about 12 years. Olivier is produced in Modena, Italy. It's not horribly expensive but it's not something your going to pick up at Wal-Mart or HEB either. Special thanks to Shannon, her idea and pictures are of her house. Sorry about the picture quality I used my iphone and it was dark, we were having an adult evening. Plus we kind of attacked it before I remembered the pictures. Enjoy.